TULSA, Okla. (AP) – A federal judge has sentenced an Oklahoma man to 30 months in prison for conspiring with his son to manufacture and possess pipe bombs. 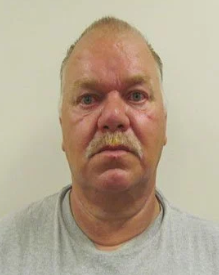 U.S. District Judge John E. Dowdell handed down the sentence Wednesday to 54-year-old Berry Albert Nichols, who pleaded guilty in August to one count of conspiring with his son, 24-year-old Christopher Nichols, to purchase materials at a hardware store to create two pipe bombs. Christopher Nichols was sentenced in December 2017 to 44 months in prison after pleading guilty to conspiracy to make and possess destructive devices. The men were indicted after pipe bombs were found in a female relative’s vehicle outside the Creek County Courthouse. Surveillance video showed Christopher Nichols entering the woman’s vehicle. He told authorities it was only meant to scare the woman.